India will kickstart their 2020 AFC U-23 Championship Qualifiers campaign from 22nd March in Tashkent. Derrick Pereira's boys will lock horns against Uzbekistan in their first match before crossing swords against Tajikistan two days later. It would be their final match in the competition after neighbours Pakistan withdrew themselves. The Indian team held just one training session prior to the competition and faced Qatar U-23 team in a friendly match in Doha. Despite dominating the match, the U-23 boys, sans prominent players like Nishu Kumar and Anirudh Thapa, couldn't find the back of the net and lost the game 1-0. On the other hand, Tajikistan and Uzbekistan's preparations were more rigorous. They have taken the 2020 AFC U-23 Championship Qualifiers more seriously and, India cannot take them lightly. 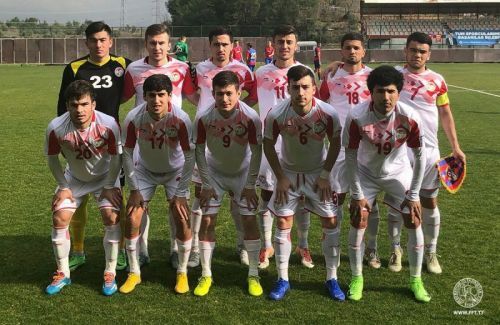 The Tajikistan U-23 team conducted their first training camp in December after the senior team's international friendlies against Bahrain and Oman got over. They flew down to Qatar to participate in a Four Nations Tournament, which also included Iran and Kuwait. In the first match held on 15th January at the Aspire Academy in Doha, Tajikistan pipped Iran 2-1. Three days later, they took out the same Qatar to which India lost 1-0 but lost to Kuwait 1-0 on 21st January. After winning the Four Nations Tournament, the team conducted a two-week training camp in Antalya, Turkey from March 1 to March 15 where they crossed swords with the U-21 sides of prominent European clubs. 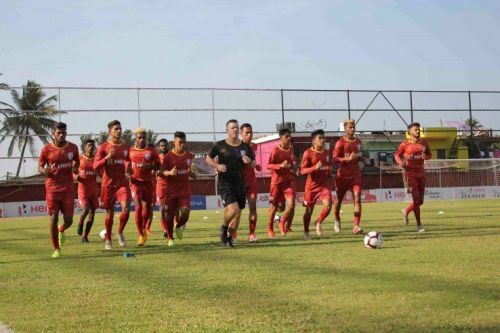 However, the Istiklol Dushanbe players were missing as they had to face FC AGMK in the second preliminary round of the 2019 AFC Champions League Qualifiers. In the two-week training camp, they held the U-21 side of CSKA Moscow (Russia) and FC Vorskla Poltova (Ukraine) 1-1 before losing 3-0 to the U-21 side of FC Krasnodar (Russia). 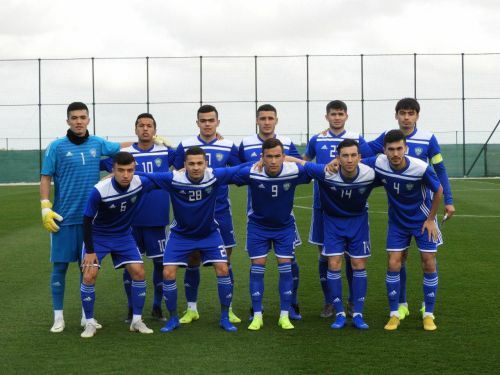 Meanwhile, Ishtiklol lost 2-4 to FC AGMK but two of their players who are eligible for the AFC U-23 Championship Qualifiers- Ehsoni Panshanbe and Muhammadjon Rahimov- played the full 90 minutes of the match, with the latter even scoring a goal. After their camp in Turkey got over, the Tajikistan Football Federation wasted no time in announcing that their U-23 side will face the UAE U-23 team in a double-friendly on 8th March and 11th March in Dubai. The team assembled on March 4 before touching down in the Emirates two days later. In the first match, they beat their UAE counterparts 1-0 but succumbed to them 2-1 in the next match, where they made six changes to the playing eleven. Tajikistan began their fourth and final training session from March 16th and touched down in Uzbekistan on March 20th. They will be raring to lock horns with India in their opening encounter. Unlike Tajikistan, Uzbekistan began their preparations only after their 2019 AFC Asian Cup campaign finished where they bowed out to Australia at the Round of 16 in penalties. Fortunately, for India and Tajikistan, the side didn't feature a single player who is eligible to participate in the AFC U-23 Championship Qualifiers. Their first training camp was held in Spain from February 14th, where they played against senior teams of some European clubs. In the first match against Swiss third division side SR Delemont on February 17th, they rallied from behind in the second half to hold them 2-2. And, in the second match against Georgian top division side FC Lokomotiv Tbilisi four days later, they pipped them 3-2 to finish off their Spain tour. Then, the Uzbekistan U-23 team flew to Turkey where they held the U-21 team of Istanbul Basaksehir FK 1-1. Their senior team is currently sitting in the top of the table of the Turkish Super Lig. Compared to India, both Tajikistan and Uzbekistan have shown much more intent and earnestness heading into the tournament. Only time will tell if India's perfunctory preparations heading into the AFC U-23 Championship Qualifiers will hurt them.